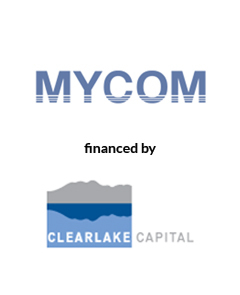 America’s Growth Capital is pleased to announce that Mycom Group Limited (“MYCOM”), a provider of wireless engineering services and OSS Service Assurance software for the telecommunications industry, secured a recapitalization and growth financing from Clearlake Capital. MYCOM’s Services business provides value-added managed services for core network upgrades, provisioning, maintenance, software and hardware upgrades, and its Software division develops, licenses, and supports the NIMS-PrOptima suite of service assurance products. With a team led by Rob Buxton, America’s Growth Capital acted as sole financial advisor to MYCOM.